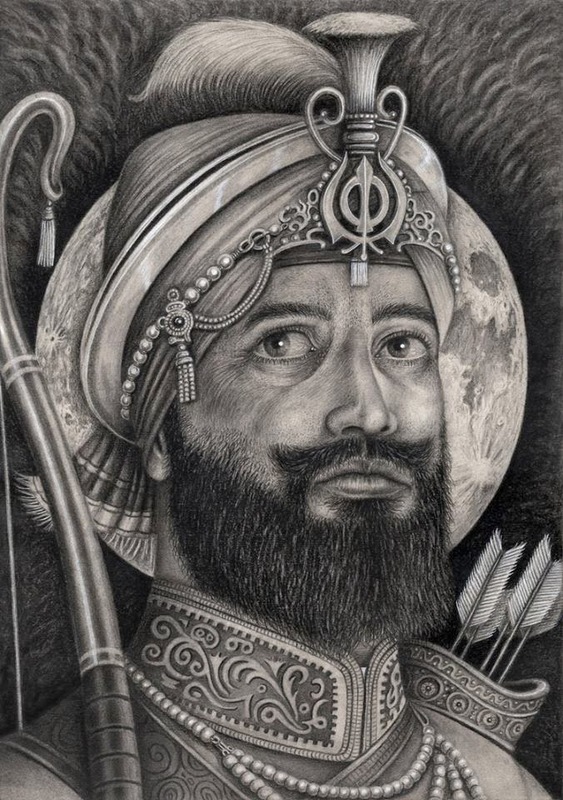 A drawing of Guru Gobind Singh gifted to a Gurdwara in London. 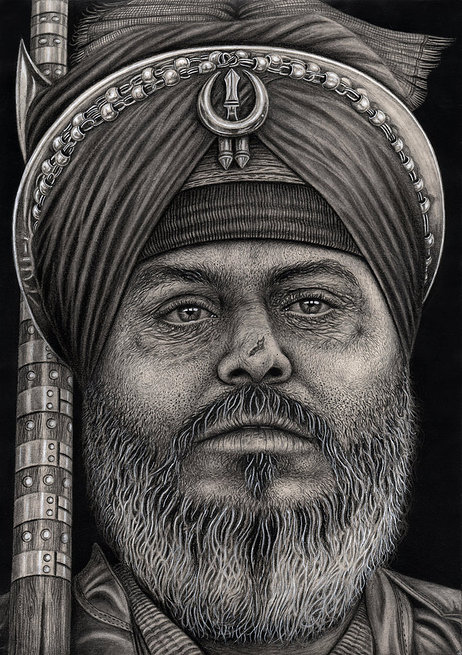 Sikh Nugget showcases the work of Raj Singh Tattal, a gifted artist from London who has undertaken many Graphite and Charcoal pencil drawings not only of Sikhs but depictions of famous personalities and characters. 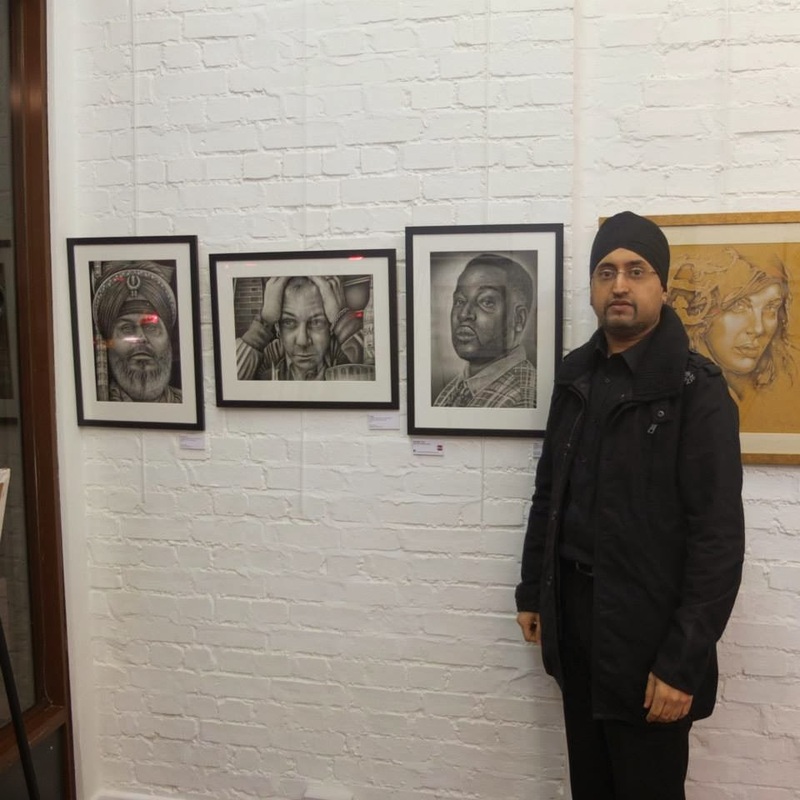 My name is Raj Singh Tattal (I also go by the name 'Pen'Tacular-Artist) and I'm a freelance artist from London who specializes in black and white 'graphite & charcoal' realistic pencil drawings. I have been drawing and loved art for as long as I can remember. And during my teens I became interested in 'comic book illustrations' and managed to get my own unique Sikh superhero comic strip published in a national Asian U.K newspaper when I was 15 years old. I then went on to study Art & Design at college and then moved on to university in my twenties, graduating with a degree in 'Product Design' 13 years ago. But for a number of really complicated reasons I had to take a break from designing and drawing for a short while. But that short time unfortunately then subsequently led to me not drawing for 11 years. Works showcased at Pictorem Gallery, London. But in mid 2012 I had an overwhelming urge to draw again, so I started drawing and since then I haven't stopped. And I’m now in the process of turning my love of art into a full time career and exhibiting my work at galleries. I'm also in the process of doing a series of drawings on 'Sikhs'. Starting with the artwork I've already finished of the 3 'Sikh Soldiers' and the 'Nihang Singh'. 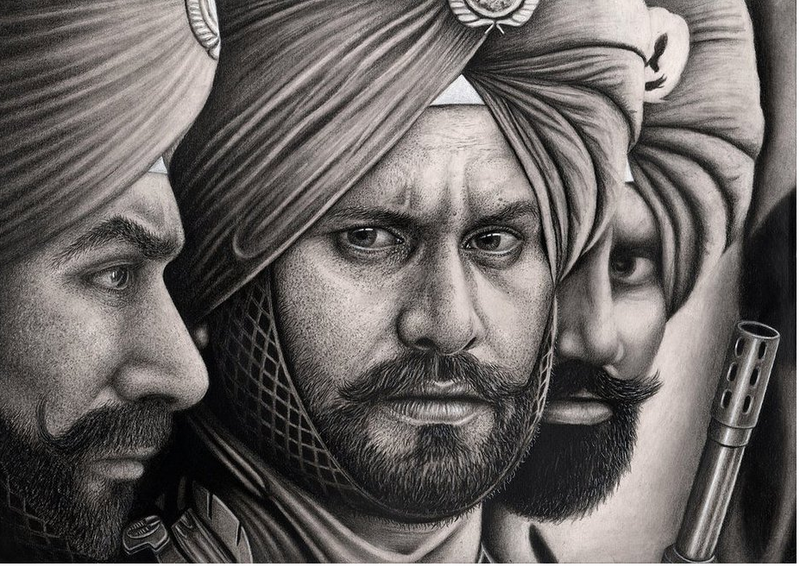 But I will be expanding this artwork to include all aspects of Sikh culture and history in the near future. It has also been confirmed that a 'Sikh' only exhibition of my artwork is going to be held at the Winns Gallery in Walthamstow for 2 weeks in November 2014. Where I will be showcasing 16-17 new 'Sikh' artworks, and there will be further 'Sikh art' exhibitions in the future that I will announce on my Facebook page. 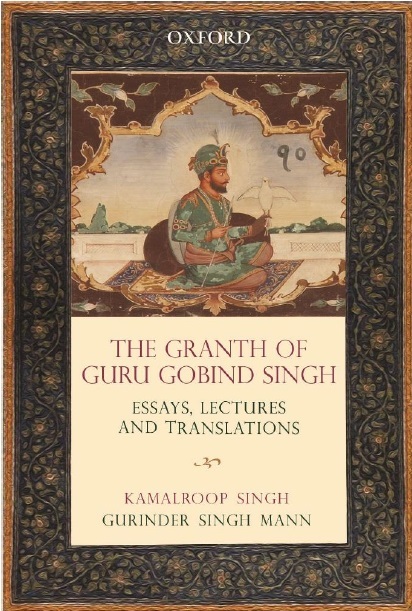 brilliant work, but the artworks of guru sahib and of the nihang singh look like their beards are trimmed off .. quite misleading of depictions.